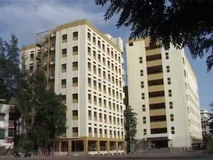 Vidya Niketan Tata Motors School is located in Pimpri, Pune. It was established in 1983. This school follows the State board. The school has English medium. Admission will be given only to the child's of Tata Motors employees. Best schools in Pune, Best schools in Pimpri, Best State Board schools in Pune, Best State Board schools in Pimpri, Best Coed schools in Pune, Best Coed schools in Pimpri, Best English medium schools in Pune, Best English medium schools in Pimpri.